Cardstore.com cards $.49 each today only! You are here: Home / online shopping / Cardstore.com cards $.49 each today only! If you haven’t sent out your holiday cards yet, Cardstore.com has the perfect deal for you! 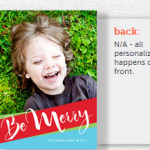 All holiday cards are $.49 each PLUS you can choose to have them send your cards FOR you for the cost of a stamp! 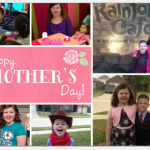 So, you can have your cards sent out for $.98 each and it’s easy peasy for you! I always have great intentions when it comes to mailing out cards, but it seems like every year I’m scrambling to actually send them out. I love that Cardstore does the work for you! I have ordered from them many times in the past! 2. Add your recipient’s address if you want them to mail your cards for you. Even if you are going to mail them yourself, they’ll add your return address to the envelopes! 3. Enter the code CCP3979 at check-out to apply your savings! 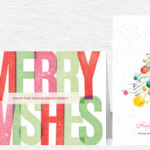 Cardstore.com Holiday Cards just $.29 each shipped to your recipients! Cardstore.com Personalized Cards just $.99 each! Personalized Back to School Cards just $.99 shipped! 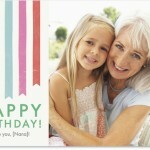 Create the perfect Mother’s Day card at Cardstore.com! Cardstore.com: 10 FREE holiday cards PLUS free shipping! 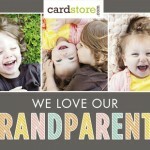 FREE Grandparent’s Day card from Cardstore.com!